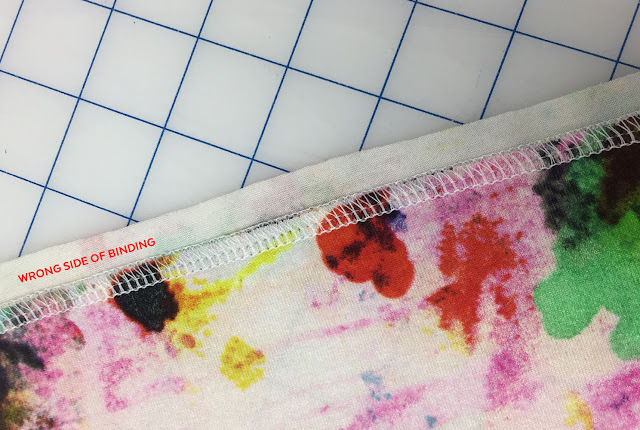 In some patterns, you will see a binding technique that might be different from what you have seen before. Don't be intimidated! 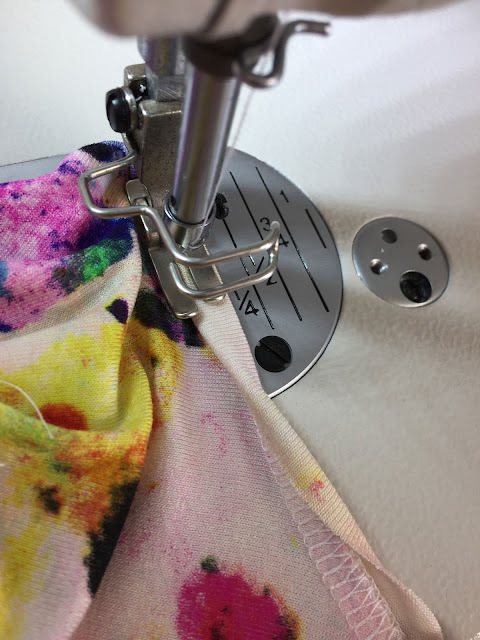 If you go slowly and understand the purpose of each step it will be very easy and you will have a very professional finish on your garment. 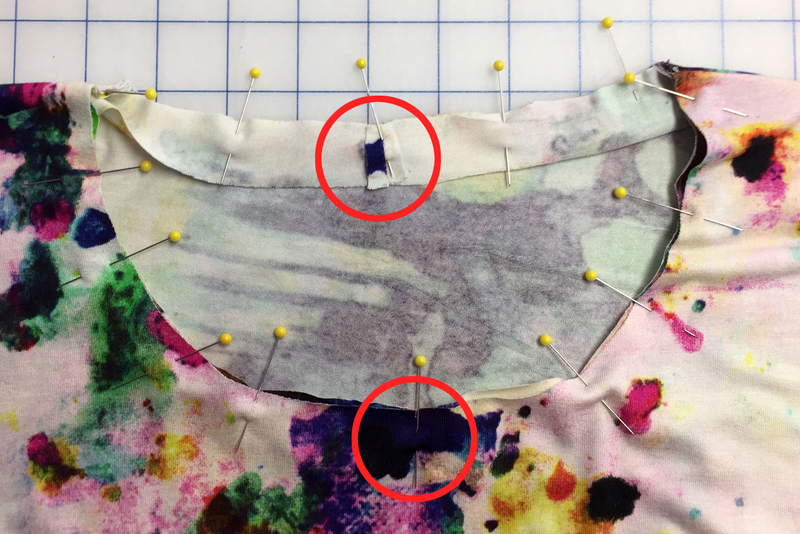 Depending on the pattern, you can use this technique flat or in the round. 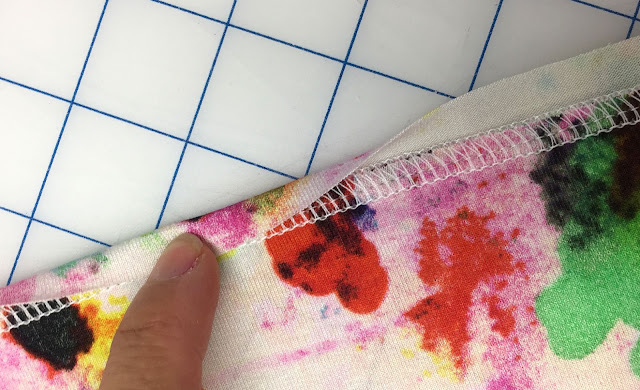 Bring the seam against the center mark to divide into fourths. Mark with pins. Mark center front and center back on the neckline. Bring the marks together to mark fourths with pins. Just like any sewing technique, practice makes perfect. 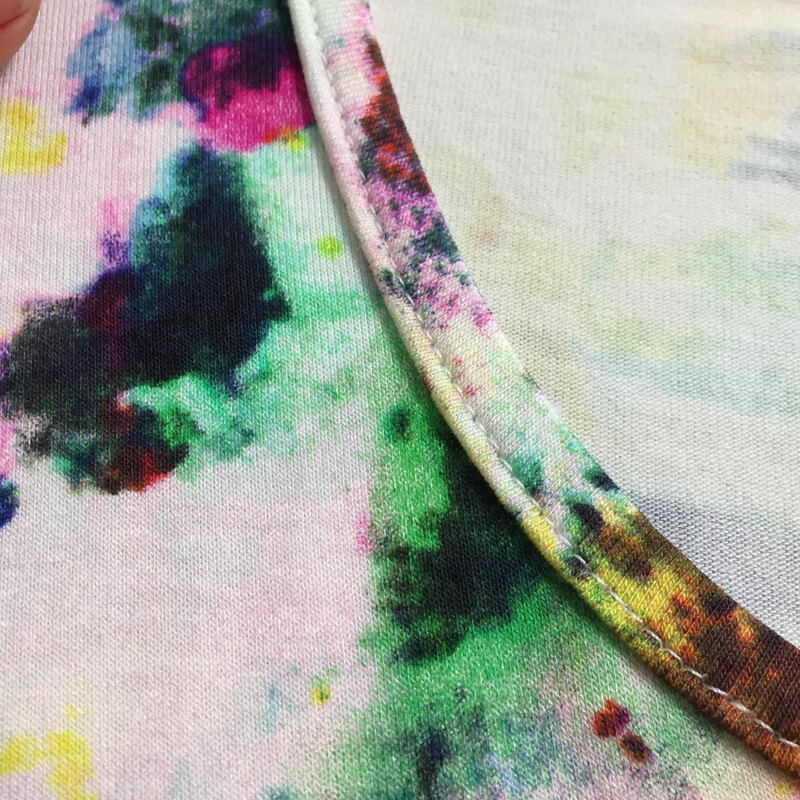 You will notice with experience that fabric stretch and texture can have an impact on how the binding is at the end. If your fabric is verrrrry stretch, you will feel that you have too much fabric and the binding will not stay flat at the end. 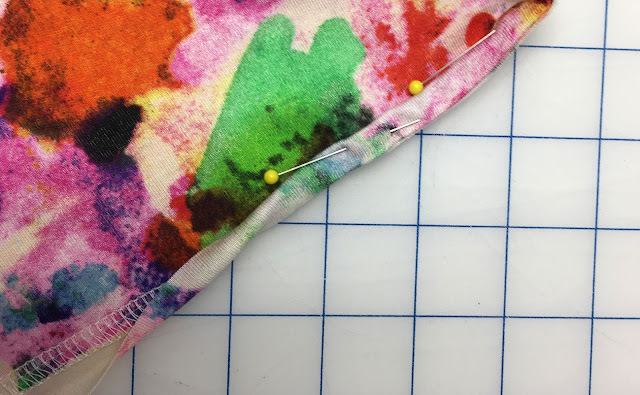 Don't hesitate to adjust the length of your binding if you notice that it's equal or longer than the neckline when you pin it. 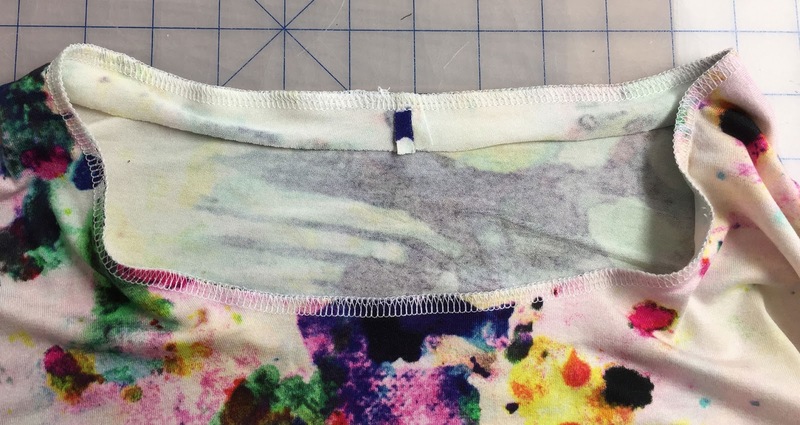 For the gymnastics leotard and baby bodysuits we recommend a zigzag because you need the binding to preserve all its stretch when putting on the garment. 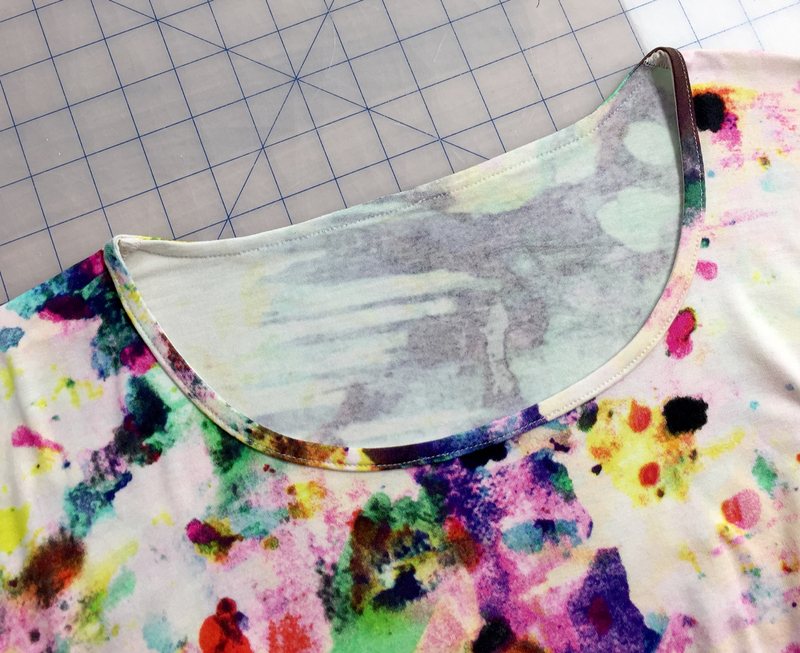 for armholes and necklines on tops and dresses, a straight stitch does the trick and is easy to do. A coverstitch looks great but you will have to play with your differential settings to make sure the machines does not stretch out the binding and neckline as your sew.